Top 10 Video Game Beginnings! I recently started playing The Legend of Zelda: Twilight Princess HD, which marks my second time through the game. I originally bought the Wii version at launch, and for the most part, greatly enjoyed the overall experience. Once I started it back up again, however, I was reminded of just how much I didn’t like the beginning of the game. 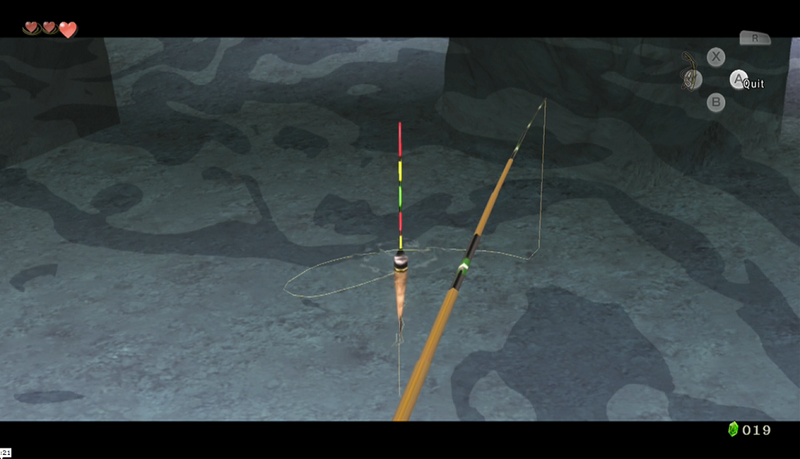 I never found fishing all that fun or particularly well done in Ocarina of Time, so to have it be one of the things you *had* to do in the first few minutes of this game was just… ugh. Thankfully, you get past that, go through a few more tedious chores, and the game eventually gets going in the proper direction. This got me thinking, though – what video games had the BEST beginnings? Whether it’s a quick intro or a prologue of some kind, that first segment of the game really has to keep you enticed enough to keep playing. There have been some fantastic introductory sequences throughout the years, and instead of dwelling on TPHD’s mediocre start, I started thinking about the great ones. So without further ado, here are my ten favourite video game beginnings of all time! Alright, so, full disclosure – I haven’t actually played through the entirety of The Last of Us yet, so I’m not able to comment on anything from the game… *except* the prologue. That I’ve played, and it’s incredible. 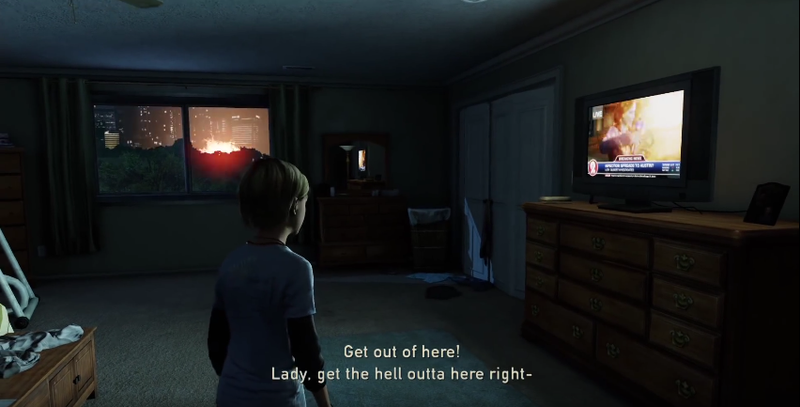 Joel is the main protagonist, but the first part of the game has you playing as his daughter Sarah. Everything seems like a peaceful night on the home front, but a panicked phone call from Joel’s brother Tommy sets things into motion. Through Sarah’s eyes, we are introduced to a world seemingly gone mad. There’s the news report and subsequent explosion nearby. The horrifying moment Joel is forced to shoot and kill his own neighbor (“You… you shot him… I saw him this mornin’…”). The uneasy feeling from riding in the backseat, unable to control anything but the camera as the countryside burns around you. It all culminates with a chase through town and a shocking twist I somehow didn’t see coming… and this was just in the first ten minutes of the game! The TV signal cuts out after an explosion, which you can see happening from the bedroom window… creepy. My backlog of “must play” games has gotten pretty huge, but I will get to The Last of Us soon. After an intro like that, I can’t see how the rest of the game will disappoint. It took me a little while to get into the whole Minecraft thing, but when I finally did, I admit I got a little carried away with it. 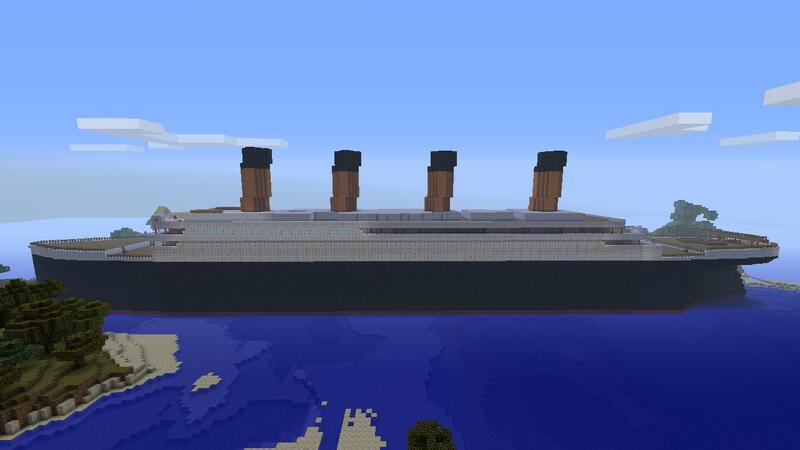 I made pixel art, a Titanic that was built to scale (where one block is one metre), half-completed a replica of the Death Star trench, and then of course attempted a proper completion of the game’s Survival Mode. So this took a while… just ask Nita. Although I’ve gotten bored of it as of late, that feeling that comes from exploring a brand new un-touched world never seems to get old. Maybe it’s because I didn’t go out camping or on treks through the wilderness all that much as a kid, but I just love the simple idea of exploring and surviving in a completely unique world that has more than likely never been seen by anyone, anywhere. Honestly, the best part about the game is just seeing what the randomly generated landscapes have to offer. Pack a map and a bed, head out on an adventure through the blocky wilderness, admire the funky formations and caves you come across and build shelter at nightfall. You could start jumping through all the hoops it takes to find and defeat the Ender Dragon, but why do that when you can experience new beginnings over and over again? A Link to the Past was the first Zelda game with a proper prologue, and if you ask me, it’s still the best beginning to any Zelda game out there. 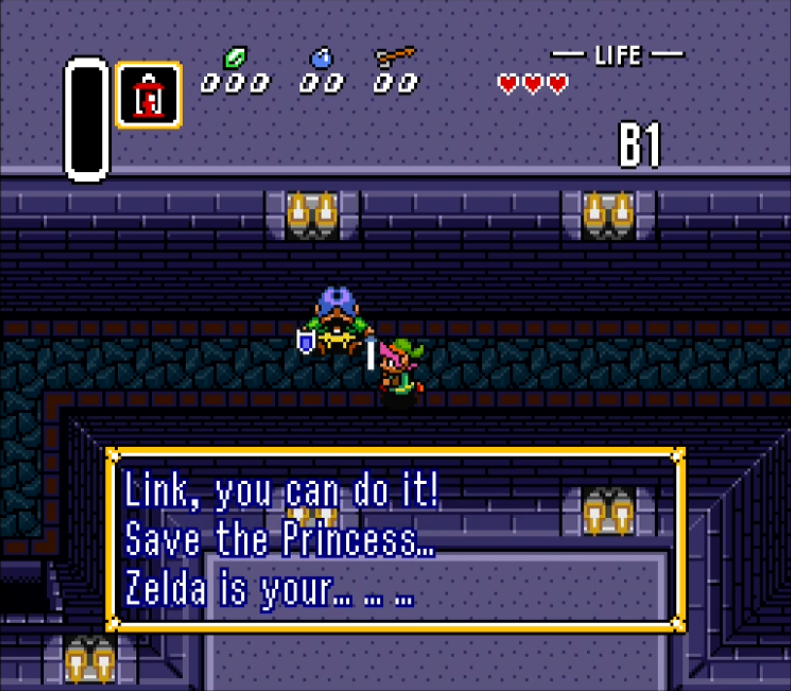 Princess Zelda herself communicates to Link telepathically that she’s in trouble. You can hear a storm raging outside, and your Uncle is about to venture out into the middle of it. Naturally, you follow him out the door, only to realize you’re pretty much naked – well, sword-and-shield-less is naked enough in Hyrule. You make your way to the Castle grounds to find the main entrances blocked, and are inevitably driven towards a secret entrance off to the side. You find your wounded Uncle, who gives you his sword and shield… and this is how your adventure begins. Zelda is my what??? Sister? Mother?? Cousin??? Hyrule Castle is laid out in a way that really lets you play with the new mechanics. Every room has upper and lower areas, meaning you could actually use stealth if you wanted to. When going on the offense, bad guys had shields and funky weapons that had you adjusting to every situation. In the basement, you could even knock guys off ledges. Not only was it paced perfectly story-wise and introduced you to some of the best music in the series, it was also a great way to show you how to play the game without bashing you over the head with instructions. You just had to learn by playing the game. Simple as that! 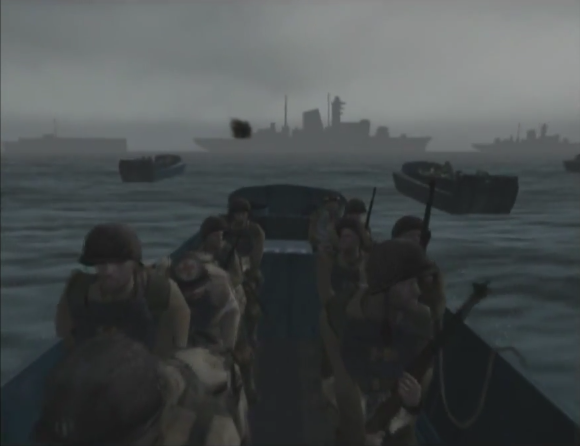 Saving Private Ryan is one of my favourite movies, so it’s no surprise that Medal of Honor: Frontline’s almost perfect recreation of the Normandy scene struck a chord with me. The PS2’s graphics weren’t quite to the point where they could duplicate the sheer gruesomeness of the scene from Spielberg’s classic film, but the intensity was there nonetheless. From the guy puking his guts out a few feet away on the boat to the underwater swim to the shore, Frontline did a great job of making it feel like you were on that beach. Bullets whizzed by, explosions sent sand and rocks flying everywhere, and here you were in the middle of it, laying down suppressing fire on the bunkers to rescue squad mates. I’m not too sure about the technical aspect about how the level worked, but I don’t think the enemy soldiers were actually shooting at you from the bunkers. I think it was one of those deals where if you stood out in the open long enough without moving (or if you just moved slowly and in a straight line), the game would make it so you were being “shot” and ding some health from your meter. Because of this, it helped to make running from one objective to another on the beach one of the craziest, most sweaty palm-inducing moments in gaming history. What the hell kind of game puts you in control of your character as you’re 20 feet below the surface of the Atlantic Ocean and on the verge of drowning? 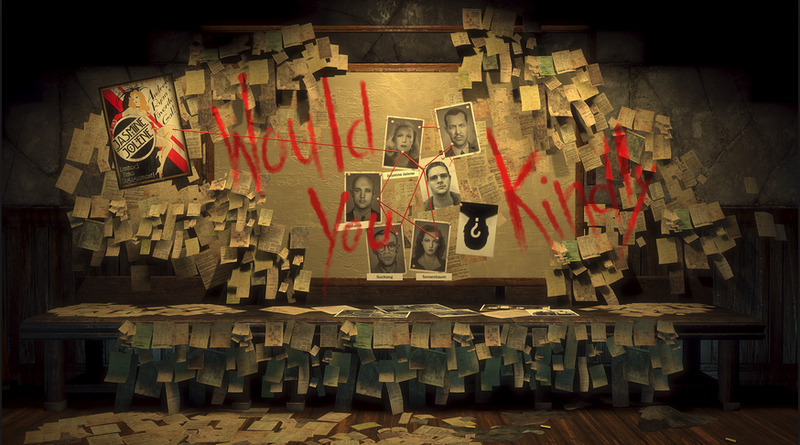 *Of course* Bioshock starts like this. If you’ve played this and its sequels, you know the plot can get kinda crazy – a bit Matrix-ey, even. Honestly though, a plane crash and the possibility of dying all in the game’s first few seconds is small potatoes compared to the Eve addicts, enraged Big Daddies, and all the other stuff that’s about to go down. Still, there’s something about the calmness of that moonlit swim to the bell tower and the beauty of the descent into Rapture that never gets old to me. Even the sound of Atlas’ soothing Irish voice guiding you – ever so kindly – gives you a sense that even though something dark and sinister is obviously going on down here, there’s a glimmer of hope for you to help out and make a real difference! We all know that’s complete BS, of course. It’s amazing that even 9 years (!!!) after its release, I still got the warm and fuzzies watching Nita play through those first few moments the other day. Speaking of having the audacity to start a game off on the wrong foot, what’s up with forcing you to start a Mega Man game on a pre-determined stage without letting you choose? I had played six or seven games in the series leading up to X, and each one had let me plot my own course through the robot masters. 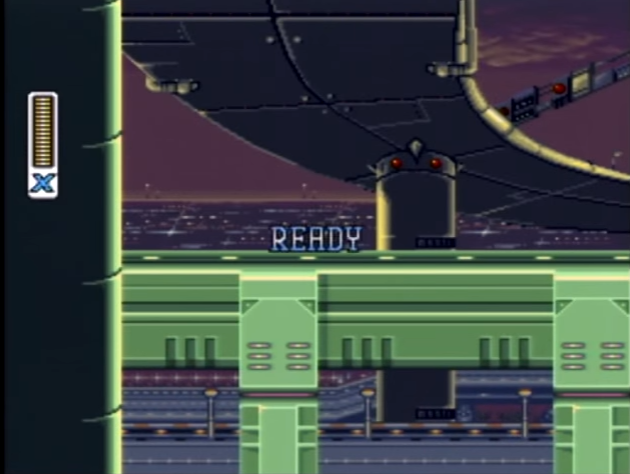 This intro stage truly left me scratching my head – was this even a proper Mega Man game?? Ready!! Yes, let’s go… no, wait! No boss selection screen?!?!? Thankfully, it’s just a fun way to introduce you to all the new stuff this new generation of games has to offer. Reduced health meter you thought was standard and completely insane, but that turns out to upgradeable as you play the game? Check! It was definitely eye-opening to play this as a kid, but it was a nice reminder that not only were we growing older as players, but the franchises we had known and loved since early childhood were growing up with us. Ahh, showing up for work. It’s something I hadn’t done yet at the time I first played Half-Life, but it seemed genuine enough; hop on the hover train, listen to the PA lady give you details about the day’s activities, arrive to your destination only to find out something is wrong with the computer systems (pff, typical), put on your hazmat suit, and then have the experiment you’re working on fail spectacularly and open an inter-dimensional portal that allows bloodthirsty aliens to invade and kill everyone. Yep, sounds like a normal day at the office to me! 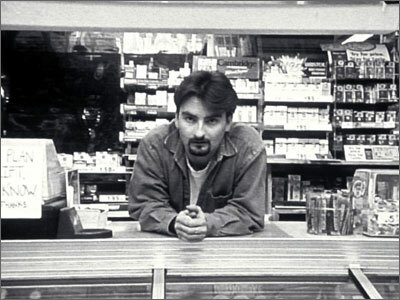 As you’re doing all the amazing things Gordon Freeman does throughout the game, you think back to how it all started and realize that Half-Life is essentially just a really messed up version of Kevin Smith’s Clerks. Freeman, who looks a lot like Dante, was also probably not even supposed to be here today. It was up to you to buy a car – usually, it was in the “Used Cars” section – then upgrade it and sling it around the track enough to win and make more cash. That sounds easy, but when you’re running on limited horsepower, you really have to push hard to make it happen! 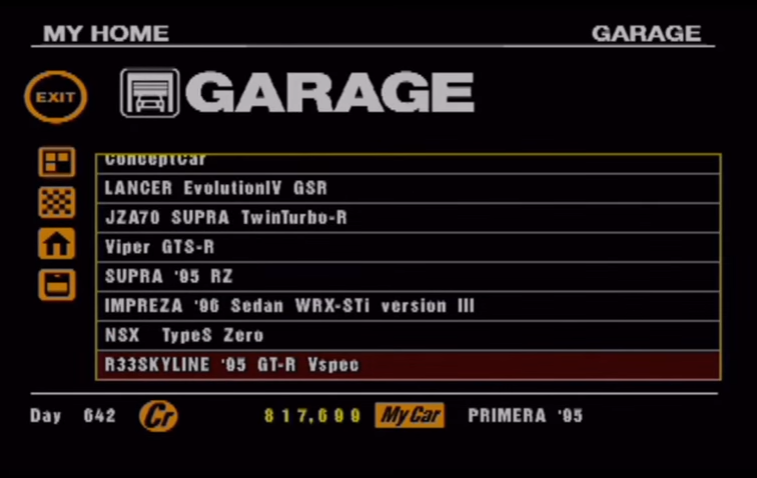 Once you had a few extra bucks, you could upgrade your car even more to run the longer and faster races with bigger prizes… when your measly (but supped up to the MAX) Honda delSol just couldn’t compete with the Corvettes and Vipers in the later stages, you could buy another car, and another, and another. “Gotta catch ’em all”… except with cars. There’s always an upgrade for you to work towards, or a car for you to add to your ever-growing collection so that you can win the next batch of races. Because of this, every Gran Turismo game essentially plays like it’s the “beginning” the whole way through, from start to finish. You start with almost nothing, and end up with everything. We’re six and soon-to-be seven games into the series, and it still feels that way… I love it. When Shadows of the Empire came out in late ’96, 3D games were just starting to hit their stride. Things have obviously come a long way since then, so if you play the game’s introductory snowspeeder level on Hoth for the first time now, you might not appreciate just how spectacular it was to experience back in the day. There was John Williams’ score being played in the background – not some MIDI recreated for the game, but the *actual* recorded music – as well as the trademark radio transmission played by the Imperial Probe Droids in Empire Strikes Back. There was the intensity of flying towards an AT-ST with guns blazing, always teasing you with the possibility of destroying it before having to peel off to make another run at it. There was the convenient camera angle it switched to when roping an AT-AT (which you would think would be terrible, but actually works way better than having the static view from behind the speeder). It all came together so perfectly. It was only three quick stages, but it set the tone for not only the rest of the game (which was fantastic), but also for future Star Wars games. The popularity of the Hoth level was such that pretty much everyone I knew that had played it thought an entire game based on that type of space battle would be amazing. Lo and behold, Rogue Squadron and its bevy of sequels followed in the next few years, and much time would end up being wasted in the Suley household. 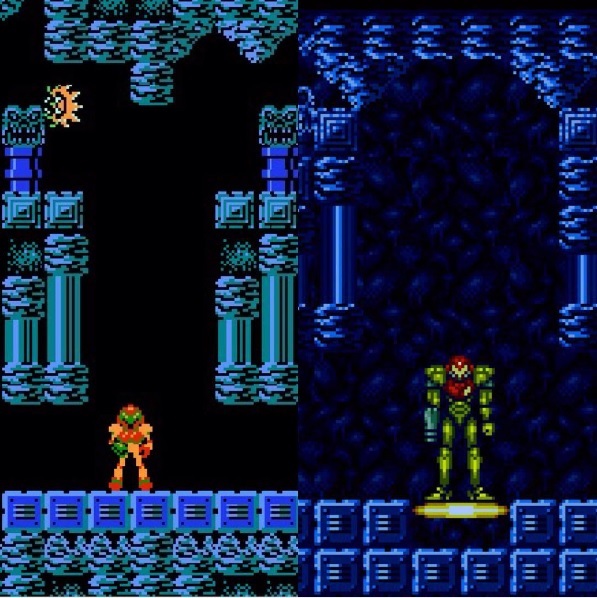 I really enjoyed the original Metroid, even though I was quite young when I first played it and the sense of isolation really gave me the heebie-jeebies. I bought into the hype and got its sequel on Game Boy at launch, but was disappointed by how claustrophobic it felt compared to the first one (although I eventually learned it isn’t a bad game at all). Because of that, it’s no surprise that I wasn’t all that interested when Super Metroid came along, and that all the hype surrounding it went way over my head. About ten years after it came out, I finally learned what all the fuss was about. 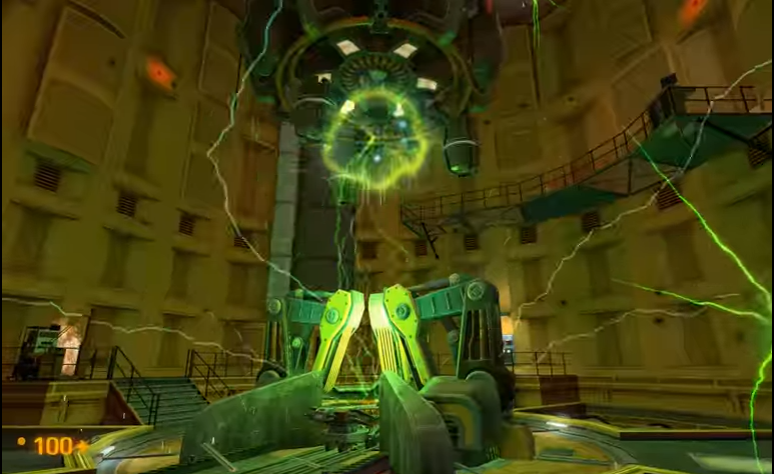 The title screen and intro were fantastic, as was the research lab\space station segment that starts the game. It not only gave you a taste of how dark and foreboding the atmosphere was, but also how well the music works at setting the mood… holy crap, seriously one of the best soundtracks ever. That wasn’t what got me, though. The space station explodes and Samus lands her ship on the Planet Zebes, which doesn’t really look familiar at first… but then you enter that door and see those decrepit old blue platforms you used to escape the planet so long ago. You see Mother Brain’s shattered remains, which haven’t been touched since, well, 1986 I guess. Not long after that, you take an elevator down to another section, and that’s where I almost teared up. Ohhhhh man. It had already hooked me with its presentation, but this throwback was just too much. I played through the rest of the game, completely mesmerized by everything about it. The audio, the visuals, the controls, the depth… as it turned out, the hype was more than well-deserved. With all that said, what are some of your favourite video game beginnings? ← You’re right here, in my sights.